In areas where the cold is so intense that a simple task of scraping ice off a window equals a considerable amount of pain, it pays to have gloves to make the process more bearable. The Ultimate Rechargeable Heated Gloves, however, take these protective equipment one step further by introducing a Thinsulate lining by 3M. Thinsulate lining helps the wearer stay dry and warm in these glacial conditions without being too bulky so that become uncomfortable and get in the way of daily activities. Moreover, these gloves have heating in them, powered by Lithin-Ion batteries which can be adjusted to up to four temperature settings, depending on the comfort of the wearer. These batteries are also ultra-thin and ultra-light, and to the wearer, they are almost cannot be felt, which again makes these gloves comfortable. The gloves can be charged to provide up to eight hours of heating after a single charging.For the wearer, this heat promotes blood circulation, which makes the gloves ideal for use in tasks such as shoveling snow or even during travel. Made of genuine leather in the part of the palm as well as a composite of other materials, these gloves are waterproof and breathable at the same time. 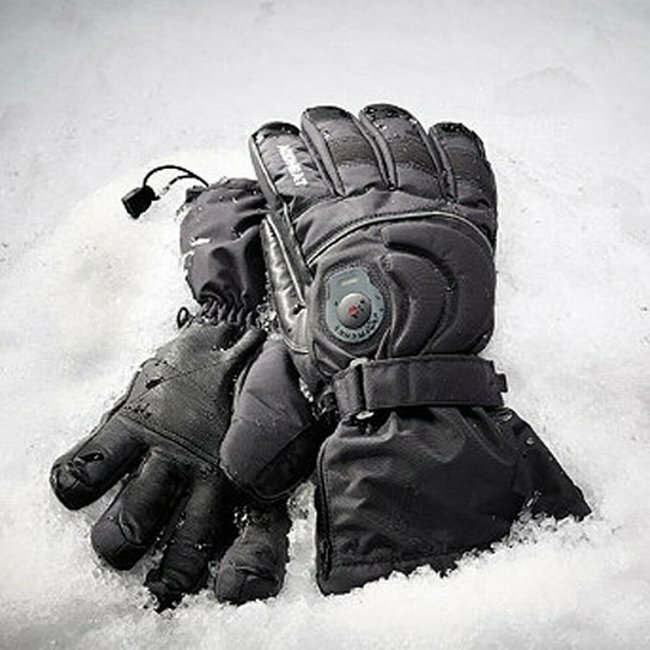 The Ultimate Rechargeable Heated Gloves cost $159.